Whether we’re talking about Apple’s products or Android devices, mobile casino gaming is becoming more and more popular with every passing month. This process has advanced to the point that some casino apps have even been admitted to the official iTunes store, as the producers of the iPhone and iPad decided to relax their previously stringent gambling policies. 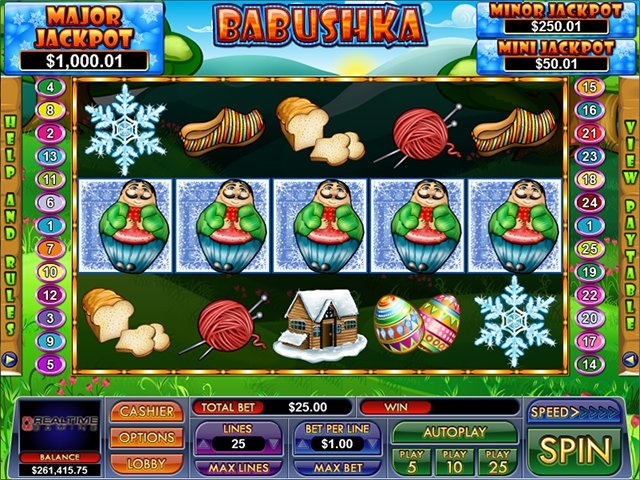 Nevertheless, when it comes to online casinos that accept customers from the United States, you’re very unlikely do find a dedicated tablet app. Thankfully, that doesn’t mean that you’ll be unable to enjoy your favorite casino games on the go, as plenty of gambling casinos offer browser based software that can be easily handled by virtually every modern tablet regardless of its operating system. Even better, the instant play version of any casino usually offers a wider selection of games than a dedicated iOS or Android mobile app, which has to be optimized to work well even with some of the weaker smartphones available on the market. In the end, taking advantage of the instant play option on your tablet gives you an access to the same package that desktop users can enjoy, complete with the high quality visuals and a comfortable user interface. All you have to do is to make sure that your particular tablet can handle the screen resolution necessary to display the games correctly. Playing on a tablet using the browser based software provided by the casino is basically no different from playing on a PC or Mac. Simply visit the casino website on your mobile device, log in, choose instant play, pick the game you want to check out and join the action. Just make sure that your tablet’s browser has Java and Flash plugins installed – in most cases they’ll be a part of the starting package when you buy your device. Keep in mind that most online casinos offer a slightly smaller selection of games with instant play when compared to what you get after installing a downloadable desktop client. This shortcoming is particularly problematic with NuWork casinos, but even in that case you’ll still gain access to numerous high quality slots, classic table games or video poker variants. All things considered, the price you have to pay for being able to play on the go with a modern tablet is simply negligible. 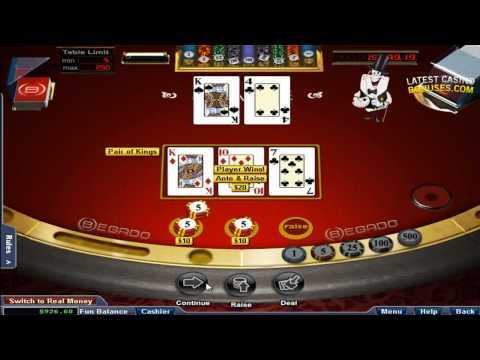 In the following section of this review, I’ve provided you with the list of three of the most reliable US-facing casinos that offer a tablet-friendly instant play option. 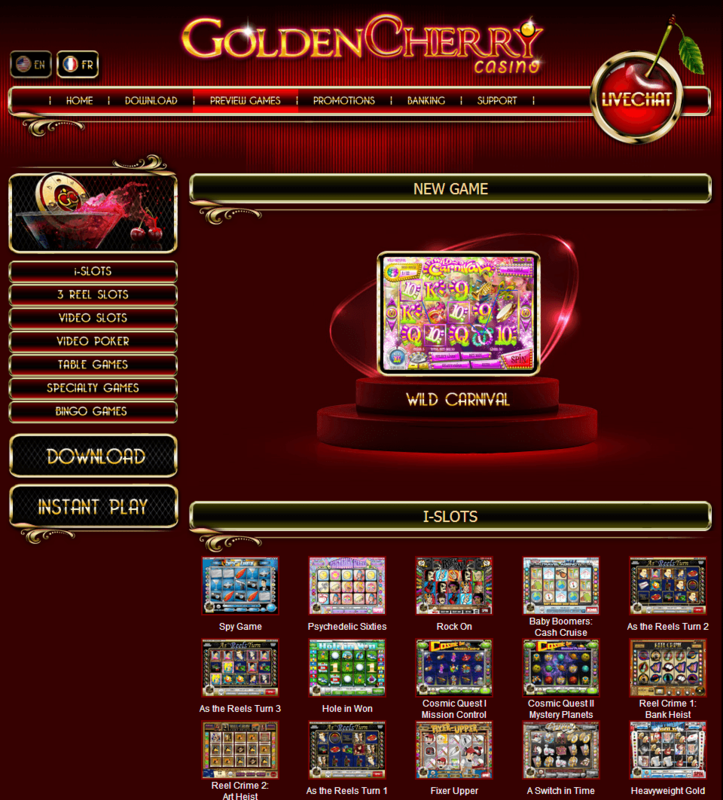 Golden Cherry is one of the best US-facing casinos that will perform well on your tablet due to how massive its library of games is. 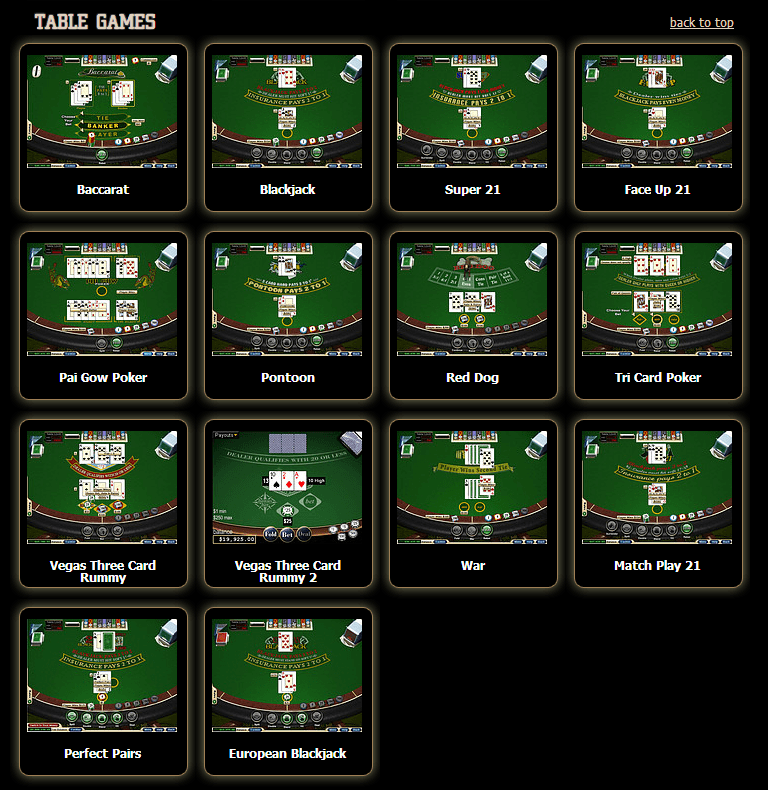 All the slots, video poker titles, table games, specialty games and bingo variants are well designed and can be quickly accessed straight from the website. What’s more, Golden Cherry offers a number of interesting bonuses, which include the amazing $3,000 Slots Bonus, which is a 300% match on your first payment and has to be cleared by playing some of the 89 available slot options. If you aren’t really a fan of online slot games, you can check out the $888 Welcome Bonus, which is paid out in two chunks on $444 with both being a 50% match on the first two of your deposits. The only deposit option available to American players is via a credit card – the casino accepts payments from $25 to $1,000. Keep in mind that while deposits will be processed and credited to your account instantly, cash out requests might take up to 10 business days. The only available withdrawal option is to use a bank wire transfer – the minimum amount you can cash out is $100, while the weekly maximum is $2,500. 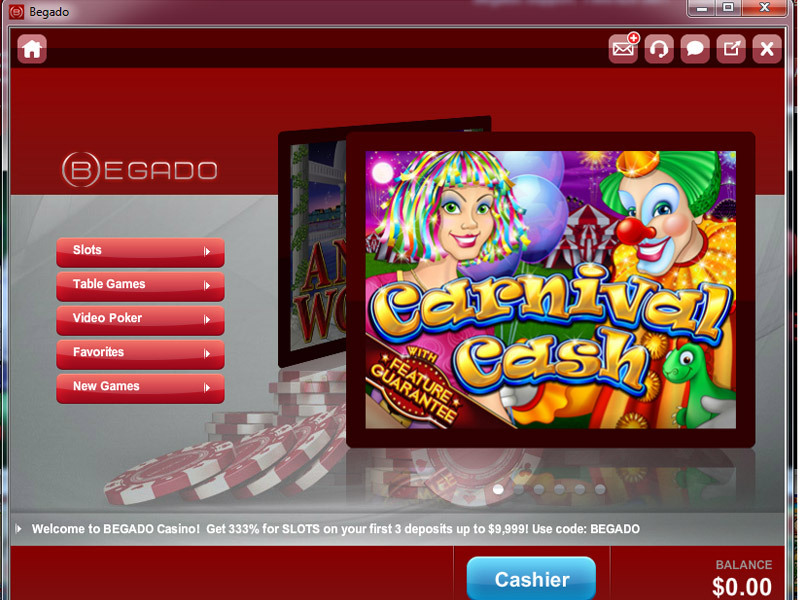 Like most of the other NuWorks casinos, Begado is suffering from a small selection of available games which are generally limited to various kinds of tablet friendly video slots. Nevertheless, the high quality of games and the fact that the casino is constantly working on expanding its library of titles makes it worth listing here, especially since the Welcome Bonus gives you a chance to grab a stunning $9,999, which is a 333% match on your first three deposits. US-based players are limited to MasterCard, UnionPay and Visa as far as deposits are concerned. All payments are processed instantly, while cash outs usually take about 5 business days and are offered via a bank wire transfer. The minimum amount of money you can withdraw is $100, while the maximum is $3,000 – if your winnings exceed $3,000 and you’d like to cash out, you’ll have to file more than one request. The instant play option in Jackpot Grand is Flash based, making it compatible with most of the new tablets available on the market. 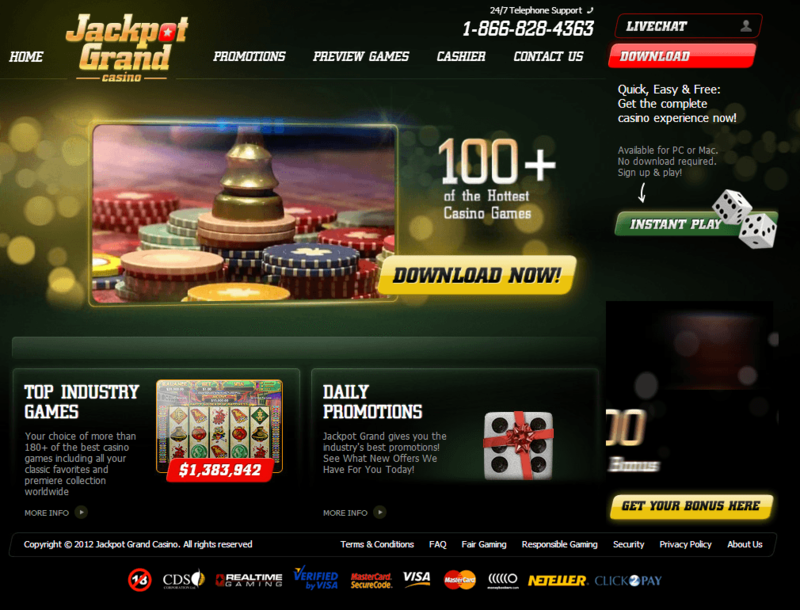 The casino gives you access to numerous slots, table games, video poker versions and Keno. The games feature a quick-pick drop-down menu allowing you to jump between the titles at will, but navigating it with a touchpad might take a little time to get used to. New players can take advantage of one out of three special welcome bonuses: a 400% $4,000 Slot Bonus, a 200% $2,000 Welcome Package which requires a table games/slots play through and a 100% $1,000 Blackjack & Video Poker Bonus which can be cleared by playing any of the available card games. In Jackpot Grand every bonus has the same wagering requirement – you’ll need to bet the amount of both bonus and your deposit 30 times before you’ll be allowed to cash out your promotional money. 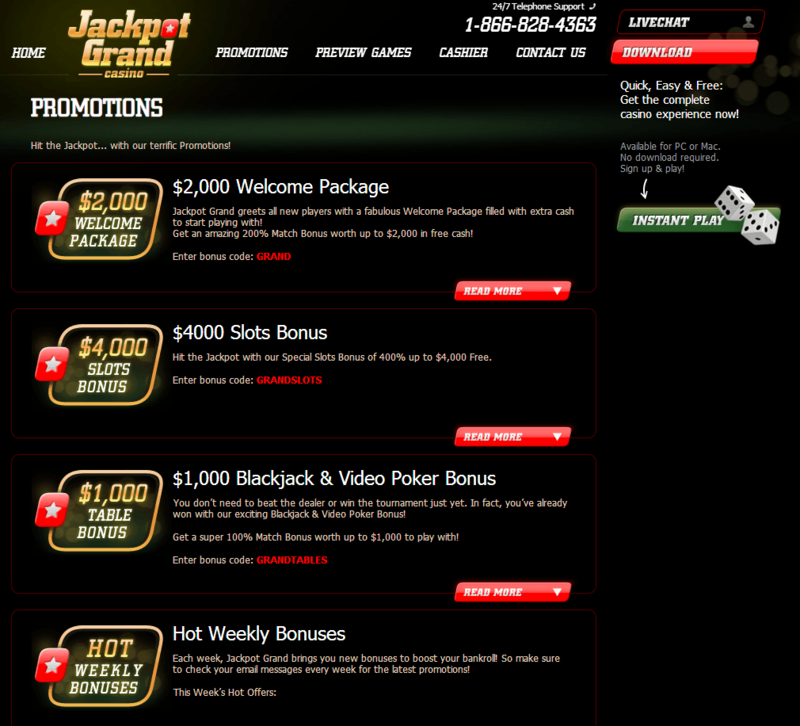 Jackpot Grand offers numerous banking options – Visa, MasterCard, UnionPay and Eco for making a payment and bank wire transfer for withdrawals. Most of the time your deposit will be processed instantly, while a withdrawal request may take between 5 and 10 business days. The minimum amount of money you can deposit is $21, while the maximum is $2,000. Keep in mind that before your first withdrawal request can be processed you’ll have to verify your account by submitting a few documents including a photo ID and a signed faxback form, so the entire process might take a little bit longer the first time around.